The Return Of Captain Nemo movie is going to have a steampunk Airforce One for the US President in the form of an airship. Pearry Teo Atwell is in the director’s chair and Hugh Bonneville, last seen in Downton Abbey on Sunday, will be playing Nemo. 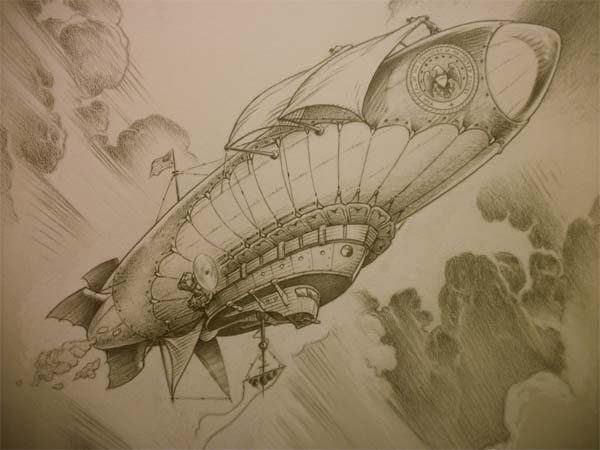 Here’s the airship design. Ulysses S. Grant will be pleased (if rather surprised)!